Are you someone who has wondered about how you can teach yourself to build a website? If your answer is yes, then here are a bunch of tutorials that will help you learn. Here’s a list of the Top 7 Build Your Own Website courses that will offer you everything you need to create your online presence. This course is more than enough to serve as a step-by-step guide for beginners. The course will be helpful in setting up your first WordPress website. The instructions are well planned and are delivered in mini-lectures by Jennifer Baily. It boasts more than 1000 enrolled students. All of them have given this course stellar rating. In this course, you will be able to learn about creating your own professional website by using WordPress. By going through the 36 lectures in this course, you will be taught about all the essential techniques that are necessary to build a professional website. Joe Parys, Justin Nifong, and the Joe Parys Academy instruct this course. It has more than 9000 enrolled students, all of whom have benefited from it. This is another course which offers the knowledge you require to create your website, sell your products online, and improve SEO. Additionally, it will also teach you to be a freelance web developer and earn money. Jon Bonso instructs this course which includes 40 lectures. It has more than 3,000 enrolled students. In this course, you will be efficiently taught about website designing tools namely Weebly. This is a very comprehensive and practical course. Craig Blewett instructs it. The 31 lectures included in this course are easy to follow and understand. This course will help you greatly in learning the art of website creation without the involvement of programming. Everything will be taught to you through theory and a step-by-step guide. This course is appropriate for beginners who want to create their website without any complexity. It’s instructed by Dr. Marco Bruno and includes a total of 12 lectures. It’s a short but informative course. In this course, the instructor will demonstrate quick alternatives to code when it comes to creating a website. By enrolling in this useful course, you will learn the options that are available online to build your own website and start your online business. This course is very resourceful and easy to understand. It’s instructed by Laurence Svekis and has more than 7,000 enrolled students. The course includes 15 lectures to offer you everything you require related to website creation. 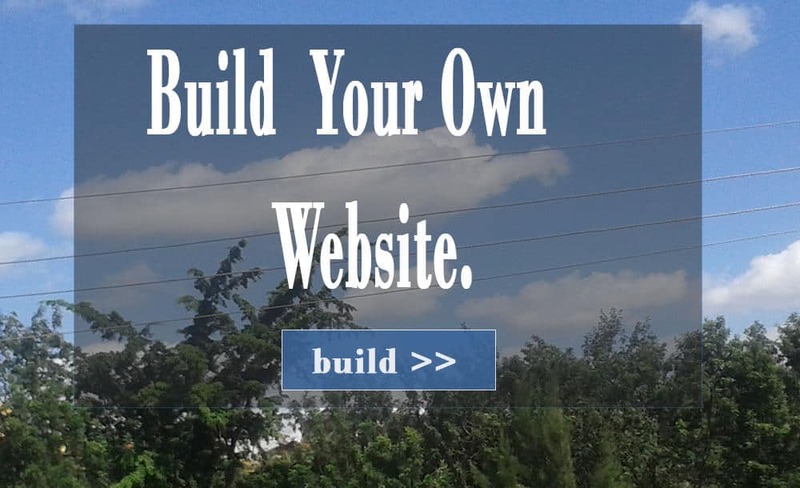 7 Discover how to build your first website! The course is designed for starters and passionate web developers who are always craving to learn new technology. Throughout this course, you will be systematically exposed to the entire process of creating your own website from scratch. The lectures are crystal clear and self-explanatory. Daniel Lombard instructs this course and has more than 2,000 enrolled students. So, if you’re interested in knowing how to build your website, check out these top 7 ‘build your own website’ courses.